The resulting beer was blended together in a bottling tank on our Smokestack Series bottling line and inoculated with brettanomyces and our bottle conditioning yeast strain. This release features soft lactic acidity punctuated with slight acetic acid notes and a tart, fruity flavor reminiscent of sour cherries and green strawberries. 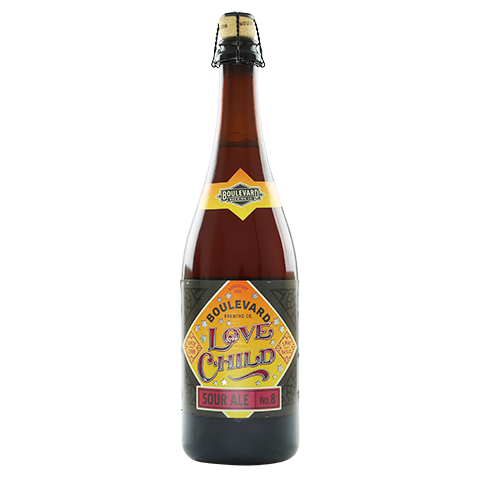 At 9% ABV and 9 IBUs, Love Child No. 8 pairs perfectly with beef carbonnade, strong/funky/soft cheeses, light salads with citrus vinaigrettes and dark chocolate.